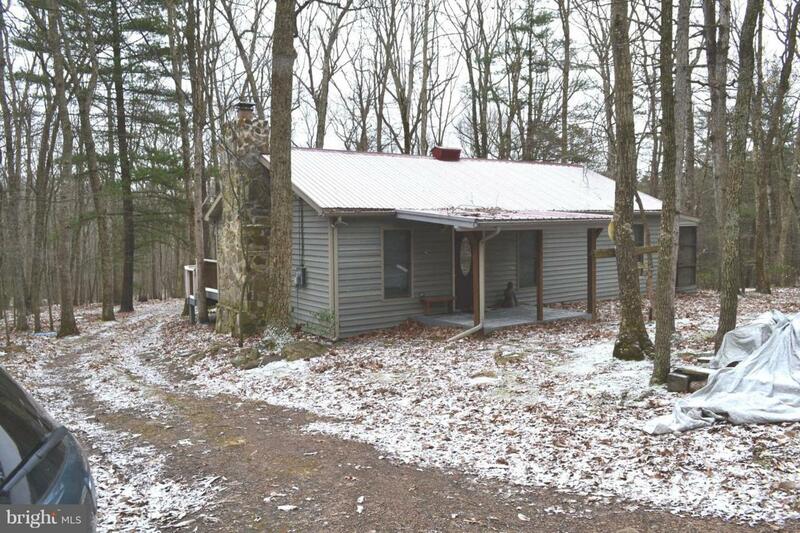 Charming maintenance free cabin in the woods featuring 2 BDRM's, 1 BA, large great room with massive wood burning fireplace feature, screened porch off the bedrooms and a deck on the back of the house all on 6.8 acres. Quiet subdivision with county/state maintained roads. Covered front porch with wrap around driveway.